Our job is to ensure that you arrive for your flight with time to spare—no matter what time you call us. Now offering wheelchair accessible taxis. Why pay more? when you can get a wheel chair accessible ride which includes wheel chairs. All included in fare. Our taxi service is perfect for any occasion, including rides to the hospital or nights out on the town. We offer some of the lowest taxi cab and airport shuttle transportation rates in all of Auburn, CA. Getting where you need to go has never been easier than when you use the taxi transportation services that we offer here at Gold Cab & Limousine Service. Riding in one of our cabs is the next best thing to driving your own vehicle—only more convenient. You are in charge when you ride with us. We combine superior customer service with affordable and professional taxi cab service to bring you the most unique and enjoyable cab experience you are likely to encounter in Auburn, CA. There is no company that strives harder for excellence than we do at Gold Cab & Limousine Service. We are constantly looking to improve our services, and every day we learn more about what it means to offer professional-grade taxi transportation. Our loyal customers have made us the number one transport service provider in Auburn, CA, and we want to thank them by providing ever-improving service at the same low rates they have come to expect. 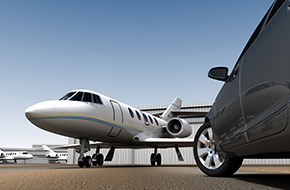 We offer a wide array of transportation services that you can use every day of the week. Whether you need to get across town during rush hour, or need a last-minute ride to work when your car is not starting, you will be completely satisfied with the assistance that we provide. We are a company that understands the needs of our clients. When you must get there on time with no exceptions, we are the taxi company to call. 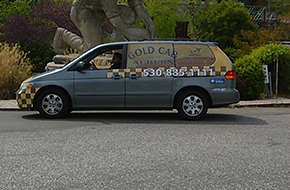 At Gold Cab & Limousine Service, we have one of the best safety records in the area, and we promise that you will reach your destination without incident or delay. Take a ride with us the next time you need to be somewhere!